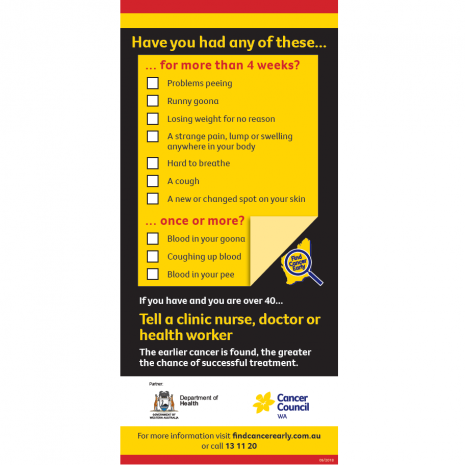 This section contains resources for all regional Western Australians including Aboriginal people. 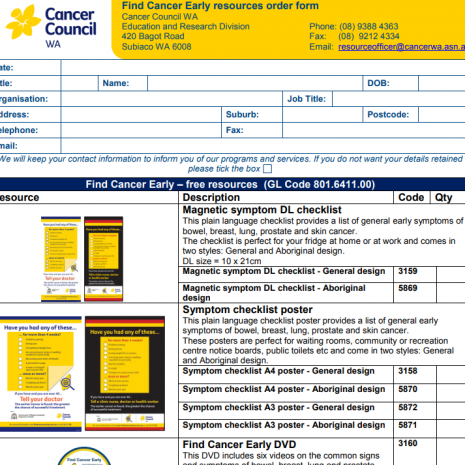 Order FREE Find Cancer Early checklists and other resources for your home, work or your local health or community centre. Simply download the PDF, complete the form and return to us via the email or postal address listed at the top of the form. 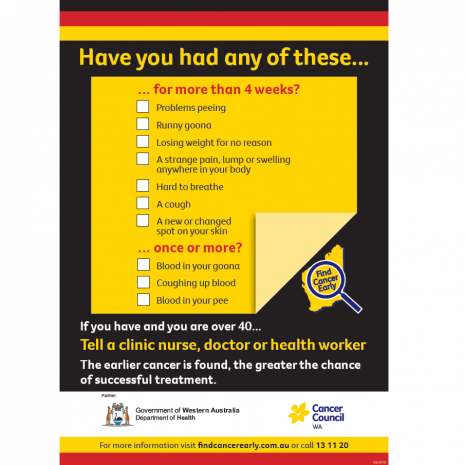 This checklist contains general early symptoms of the five most common cancers affecting Western Australians: prostate, breast, skin (including melanoma), bowel and lung cancer. This poster is A4 size. 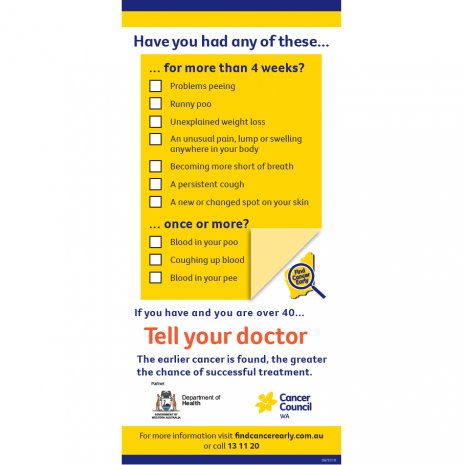 This checklist contains general early symptoms of the five most common cancers affecting Western Australians: prostate, breast, skin (including melanoma), bowel and lung cancer. This poster is A3 size. 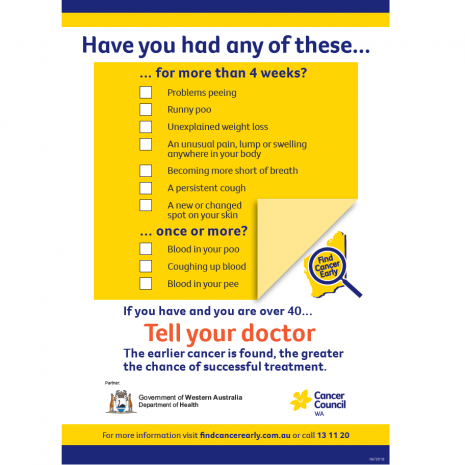 This checklist contains general early symptoms of the five most common cancers affecting Western Australians: prostate, breast, skin (including melanoma), bowel and lung cancer. This flyer is DL size (1/3 of A4 size).